ABT corps members Rachel Richardson (left) and Zimmi Coker in rehearsal with choreographer Gabrielle Lamb. Photo by JJ Geiger, Courtesy ABT. "I feel like you want to move one more thing," says choreographer Gabrielle Lamb, her head cocked slightly to the right as she watches American Ballet Theatre corps dancers Zimmi Coker and Xuelan Lu work through an intertwined movement sequence. "My hip," answers Lu, who stands with her right leg extended, foot flexed, her hand on Coker's head. Both are in socks, and in the background music plays softly, providing atmosphere rather than counts and cues. It's week two of ABT Incubator, a new choreographic workshop spearheaded by principal dancer David Hallberg that was held earlier this month. Lamb is one of five choreographers, including New York–based dancemaker Kelsey Grills and ABT dancers Sung Woo Han, Duncan Lyle and James Whiteside, who were chosen to participate through an audition process. The collaborative nature of Lamb's rehearsal process is a rare treat for her small cast. When you dance in a company like ABT, with its big classical full-lengths and tight production deadlines, rehearsals are often a matter of being told what to do. 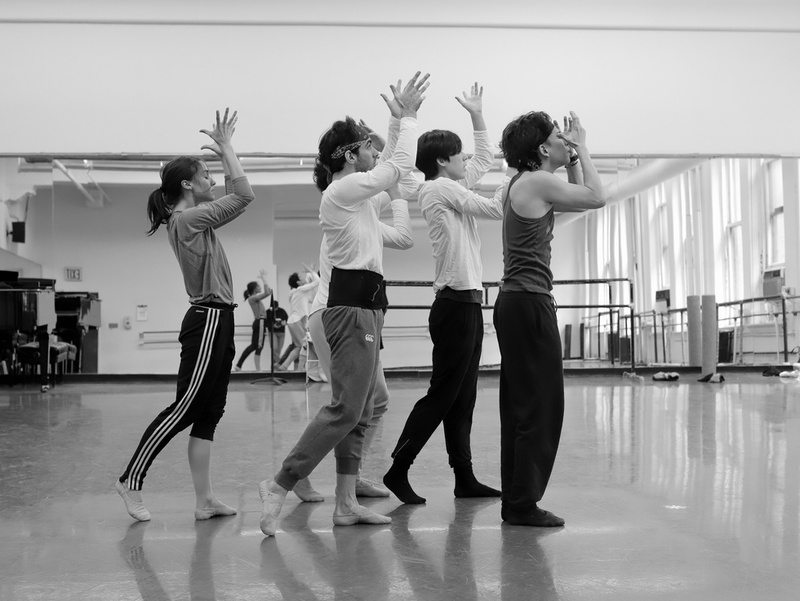 ABT Incubator gives company members the opportunity to get in on the creative process themselves, and offers choreographers a chance to explore ideas without the pressure of a formal performance. 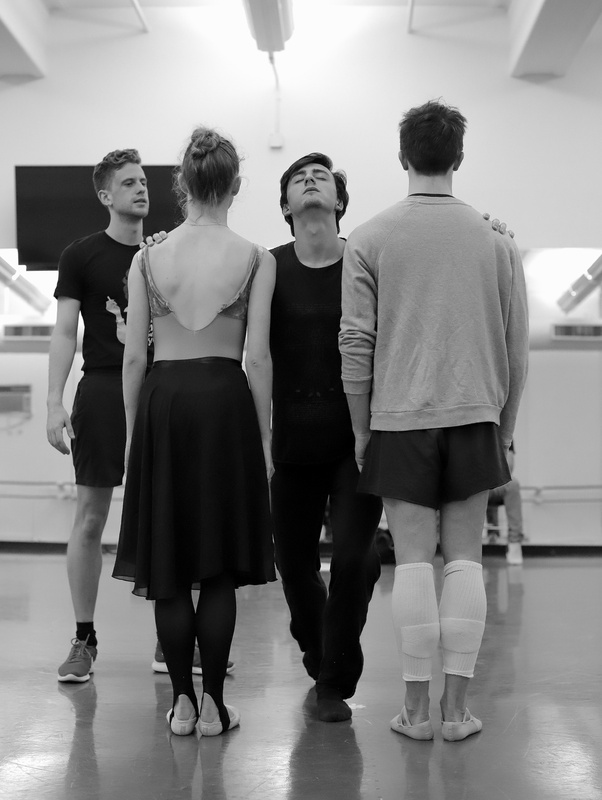 From left: Betsy McBride, Garegin Pogossian, Joo Wan Ahn (behind Pgossian) and Kento Sumitani rehearse Sung Woo Han's ballet. Photo by JJ Geiger, Courtesy ABT. "It has always been my vision to establish a process-oriented hub to explore the directions ballet can forge now and in the future," Hallberg said earlier this year. "It is something that I think is imperative for ABT and furthermore, for the dance world at large." From left: Duncan Lyle with Courtney Shealy, Carlos Gonzalez and Tyler Maloney. Photo by JJ Geiger, Courtesy ABT. For the ABT dancer-choreographers, the Incubator gave them a chance to lead from the front of the room and flex their creative muscles. This felt especially true for Sung Woo Han, a young, soft-spoken corps member, whose work was surprisingly dark and contemporary—a big departure from what his dancers are used to performing. Yet it was apparent that Han had a clear vision about what he wanted. Corps member Duncan Lyle, on the other hand, worked more spontaneously on his piece set to Bernard Hermann's Echoes for String Quartet, helping his dancers workshop organically through complicated partnering phrases. He kept the atmosphere light and fun, even when pushing his dancers to be more musically precise. Grills (center) with Luis Ribargorda, Kiely Groenewegan, Virginia Lensi and Erica Lall. Photo by JJ Geiger, Courtesy ABT. Perhaps the biggest departure from what ABT dancers are used to was from modern choreographer Kelsey Grills, who also works as Dance Magazine's video editor. (Read more about her Incubator experience here.) She had her dancers—Luis Ribagorda, Erica Lall, Kiely Groenewegen and Virginia Lensi—repeating and reversing grounded, pedestrian phrases in various directions. At times they sat on chairs, repeating small hand gestures to each other as if in conversation. Throughout her rehearsal, she encouraged them to open up their bodies, move bigger and get lower. The dancers looked physically out of their comfort zone, but they didn't seem to mind. In fact, they were joking and having a blast. While the ABT Incubator culminated in a private, informal showing, a "performance" was never the point. 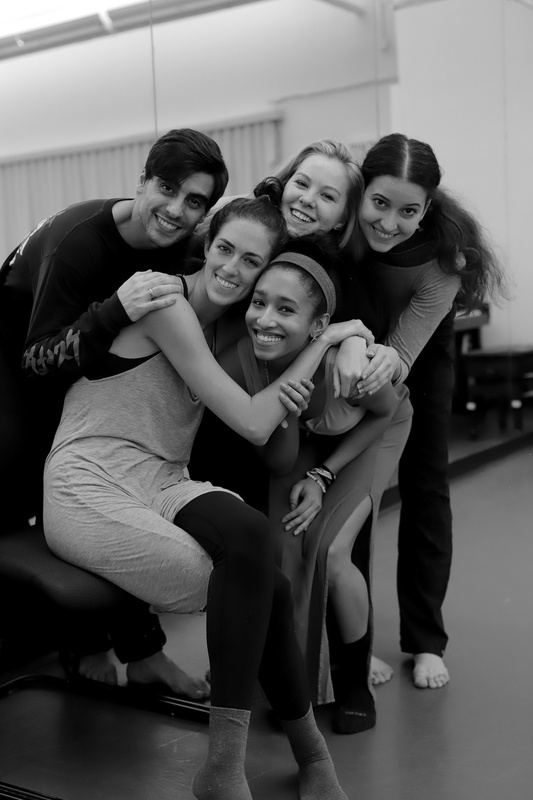 The workshops true benefit was the light-bulb moments between both dancers and creators, and the luxury of creating without parameters or restrictions.